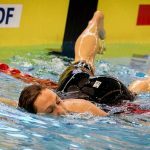 So you conquered the super boring kick set–here’s how to take your kick, your swimming and those inevitable hunger pangs to the next level. I got quite a few emails after posting this super boring kick set a couple of weeks ago (it’s a simple 500-400-300-200-100 descending effort kick set). 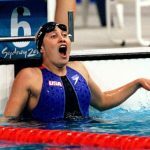 Most of you wanted to know what happened after the initial two weeks–where I dropped a couple seconds on my 100 kick PB, what kind of adjustments you should make to the set, and so on and so forth. Below is one of the ways that I ‘leveled up’ the set, incorporating a bunch of fast, explosive swimming between the bouts of freestyle kick. Building kick endurance is one thing, but adding it to our swimming is the next step. 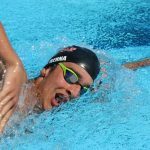 This set mixes up some fast kick work with high quality swimming. Your legs will get a pounding out of it, your breakouts will get some serious attention, and your speed endurance will shoot through the roof. Make no mistake, when done properly this set is brutal. I did this set twice last week, the most recent on Saturday, and both times it left me pretty destroyed. For the rest of the day my calves were doing some funny twitching thing. Not quite cramping, but they were definitely thinking about it. 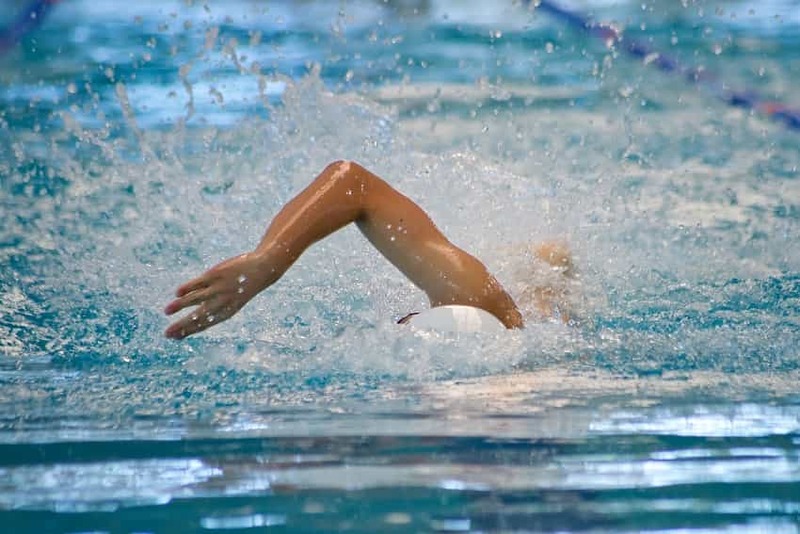 From personal experience doing lots of kick work at the beginning of a workout leads to faster swimming in the back-half of my workout—the legs are more fully warmed up and ready to rock and roll when the practice is front-loaded with kick. 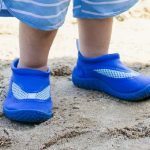 However, if your kick fitness is low you might not experience this; a kick set leading off your workout might leave them so fried that you can’t get things going later on. Here is the full swim workout that I did last Saturday. It was done in short course meters. 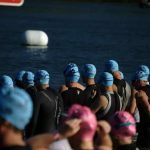 Do the first 25 at a fast/cruise pace—I’m fond of doing drill work at a faster pace, along with “cruise” or slow drill—doing so is another way to challenge your body to feel the water more efficiently. 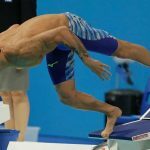 The sprint freestyle must be a shoulder driven freestyle. Think kayak versus catch-up. “Easy” sprint is a bit of misnomer—you want to be going at just below maximum effort. Controlled fury. Your breakouts will feel straight gangster with all the kick work you are doing. Stick to the number of dolphin kicks you want to nail off each push-off through the duration of the set. Your legs will get totally fried; no matter how fit your legs are or aren’t. Fast is fast, whatever that means for you. The first time I did this set it was the 400m kick that totally did me in, the second time around it was the 200m kick. The drill work can be done with a swim snorkel; usually I prefer using my snorkel for drill, but for whatever reason it didn’t occur to me to do so during this particular session. The 250 at the end of each round is without an interval. I went a minute from the next top from whenever I touched the wall after the 250. Technique, technique, technique: Don’t get sloppy on the sprint work. It’ll be a test of your mental toughness to keep your stroke from falling apart. Have lots of water on hand. And snacks for afterward. You’ll be supremely hangry. The Other Auburn Sprint Set: How I Spent Two Hours Driving the Local Lap Swimmers Crazy. As far as sprint sets go, this one is a whopper. 2500 yards of full blown sprinting. Try at your own risk. 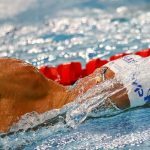 36 Ultimate Workouts for Competitive Swimmers. 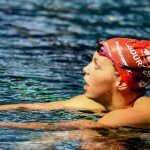 Our ever-growing list of sets and workouts for swimmers. 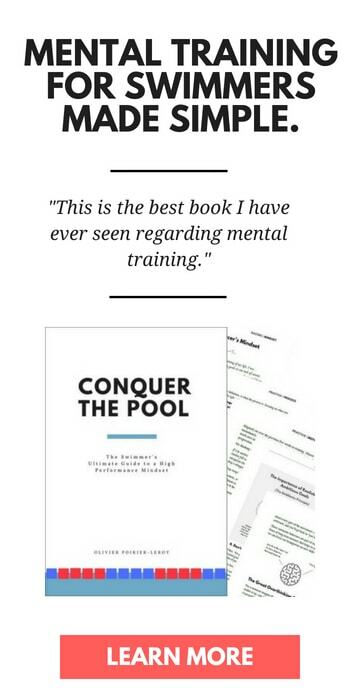 Features practices from some of the top athletes and programs on the planet, including Michael Phelps, Katie Ledecky, and much more. How to Develop Easy Sprint Speed: The “Look Good, Feel Good” Set. This is another set that I did recently and thoroughly enjoyed; it will help you find and build your relaxed, “easy” speed.